Fads can be fun, especially in fashion. 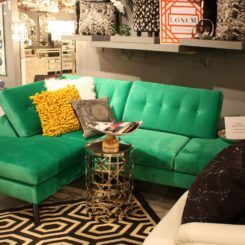 When it comes to home decor trends, however, it’s better to stick to solid trends that will stand the test of time longer than a fad will (remember lava lamps?). 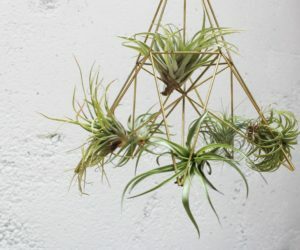 We’ve cast our expert eye at the latest and greatest home decor finds and have sorted out the top 20 home decor trends that you’ll want to embrace in your own space this year. Brass and lighting are a natural combination. 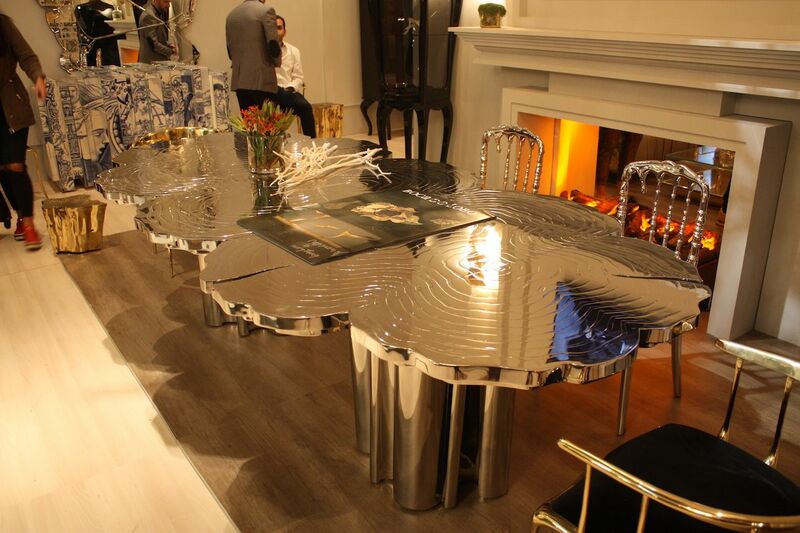 Large and imposing metallic pieces set the tone for a space. 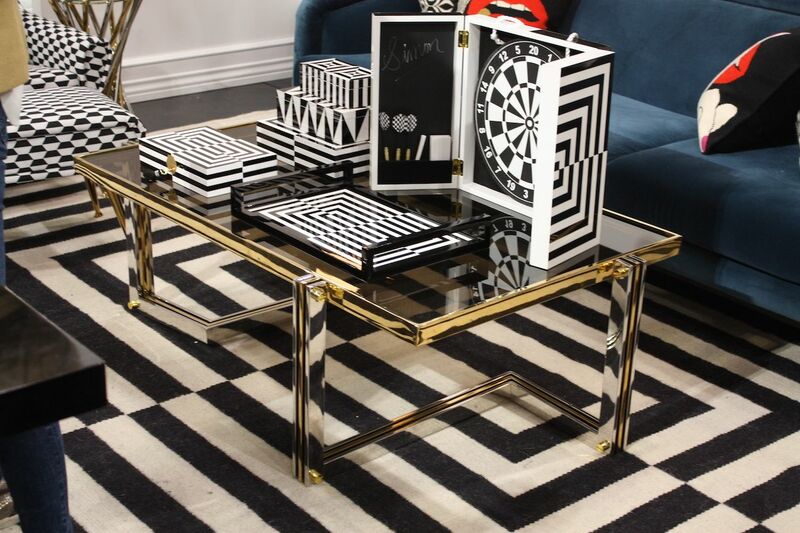 Bold graphic patterns are a good way to add pop to a room. Velvet can be used in every room of the home. Benjamin Moore went bold with the color of the year for 2018: Caliente. And it certainly is! 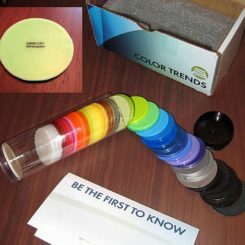 This hot hue is a refreshing change from the hundred shades of white and beige that have dominated wall colors in past years. 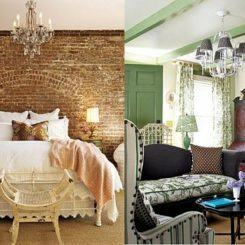 Paint color is an easy thing to change and with all that neutral-colored furniture you probably have, a bold wall color is the fastest, most affordable home decor trend to liven up a room. It’s a big dose of drama for any space. Don’t like red? Opt for a deep blue or other bold color choice. Caliente is a deep brick red that has an earthy undertone. 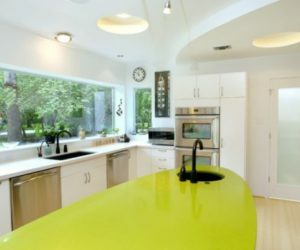 Mention color in the kitchen and many people immediately think of the old avocado and gold appliances of the seventies. 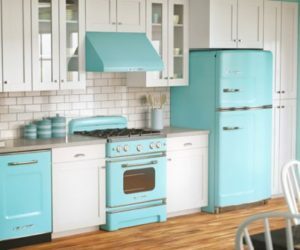 Kitchens have been stark white for far too long and now designers are incorporating bold colors not only on backsplashes and cupboards, but also on appliances — if that’s something you would go for. Here, Monogram of Canada has created this colorful yet refined family kitchen that features forest green cupboards and accent tile. Play up the color with another bold accent color, like red, or keep in calm with black and white. 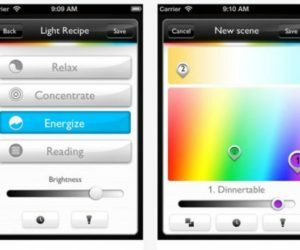 Color in the kitchen does not mean it will look garish. Geometrics are a great home decor trend for adding patterns to a room, especially if you are not a fan of florals (and are weary of the ubiquitous chevrons). 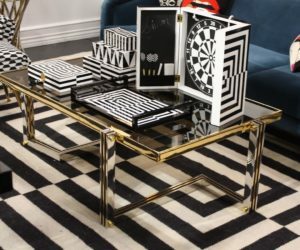 Jonathan Alder’s later editions to his collections include a range of accessories and furniture that feature bold black and white geometries. The various shapes have a pop-art feel and will add a graphic jilt to a space, whether you choose a large rug or just a few well-placed accessories. 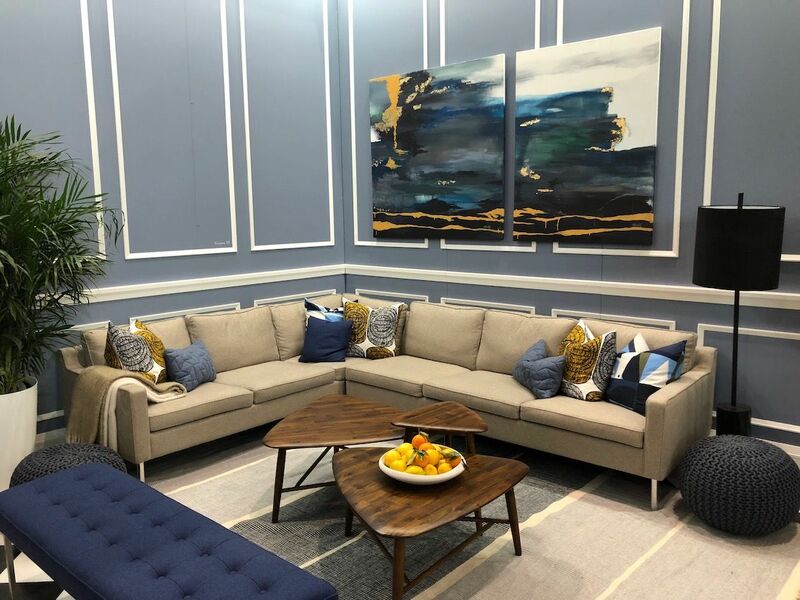 From horse hair around an ottoman to macrame-style draping on wall pieces, fringe is fast becoming a popular home decor trend. 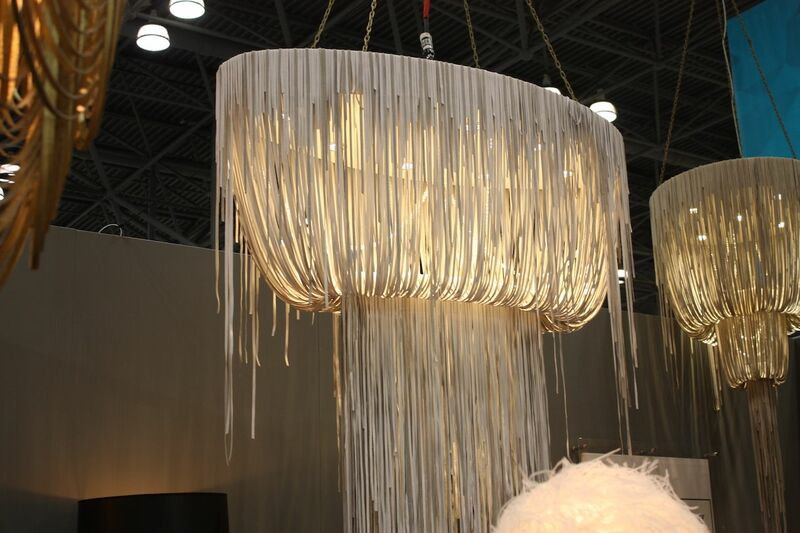 You can even find lighting fixtures that have fringe in metal, or in leather, like this chandelier from Ngala Trading. Fringe is a good neutral trim that adds interest without introducing more pattern or, necessarily, color. Leather fringe like this also adds another texture to the room and is a nice substitute for the usual metal and glass chandelier. Long fringe on a focal piece is a conversation starter. 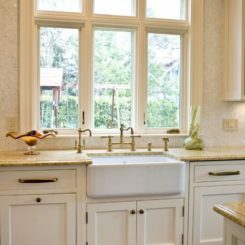 While there’s nothing wrong with a functional sink in clean, classic white, a distinctive sink can really elevate the design of a powder room or guest bath to a whole other level. Statement sinks come in stone, concrete, wood, colored and textured glass, and a slew of other materials. 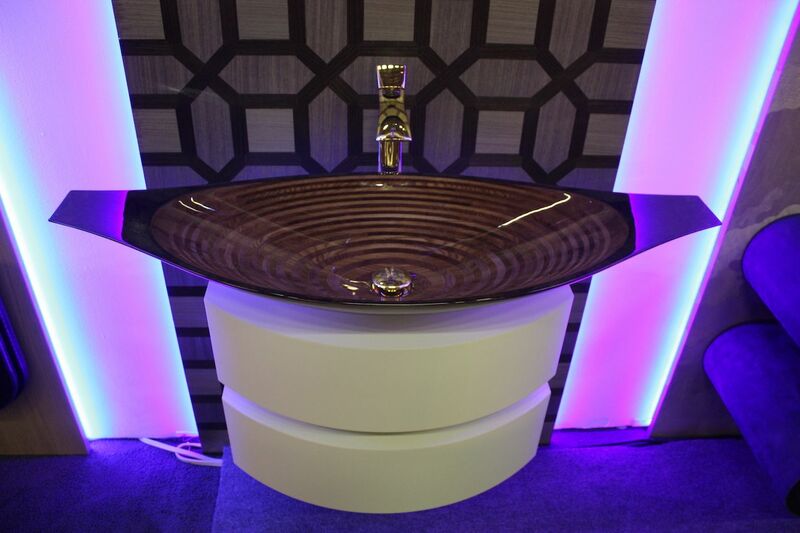 This highly polished wood sink from Ammonitum is a great example of a sink that grabs attention. The design shows off the fine woodwork and grain, and the unusual shape is attention-getting. Even the base is an unexpected choice for this pedestal sink and makes for a dramatic home decor trend. This sumptuous fabric has been trending for a couple of years now and shows no signs of fading from the spotlight. Its sophisticated sheen and cozy, textural feel have a wide appeal. 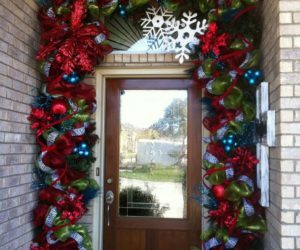 The fact that it works so well in bold jewel colors and brings extra dimension to neutrals makes it more versatile than you might think. 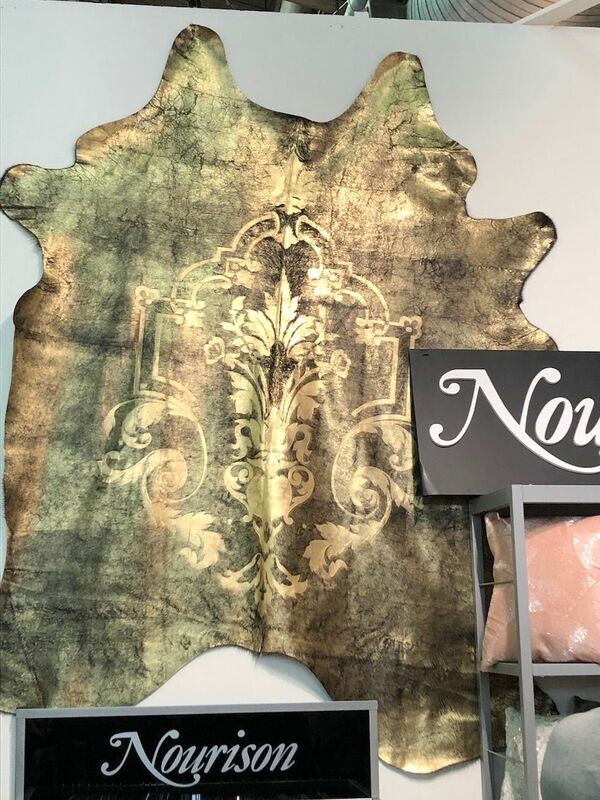 This home decor trend is also moving out of the boudoir and into the family room, being used for cushions, poufs, and upholstery of all kinds. 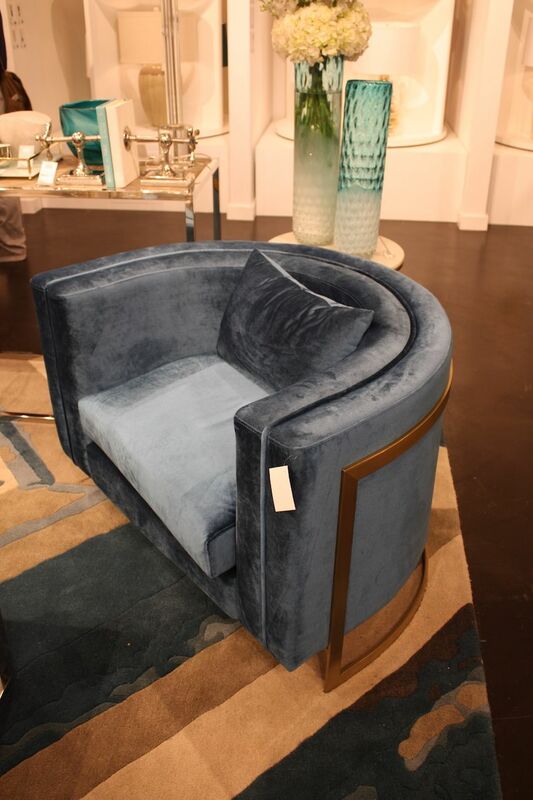 This classy armchair from Cyan Design is covered in a great smoky blue velvet and has a gorgeous copper frame. Vintage items of all kinds are popular in home decor, but no other sector of design has more choices than lighting. Whether they are truly vintage, repurposed fixtures, or reproductions, vintage lighting is taking center stage in living rooms and kitchens everywhere. 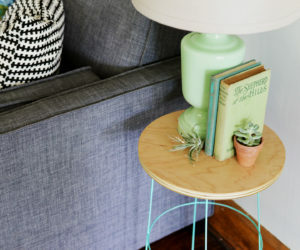 Even within the vintage home decor trend, there is a wide range of how old the fixtures appear. 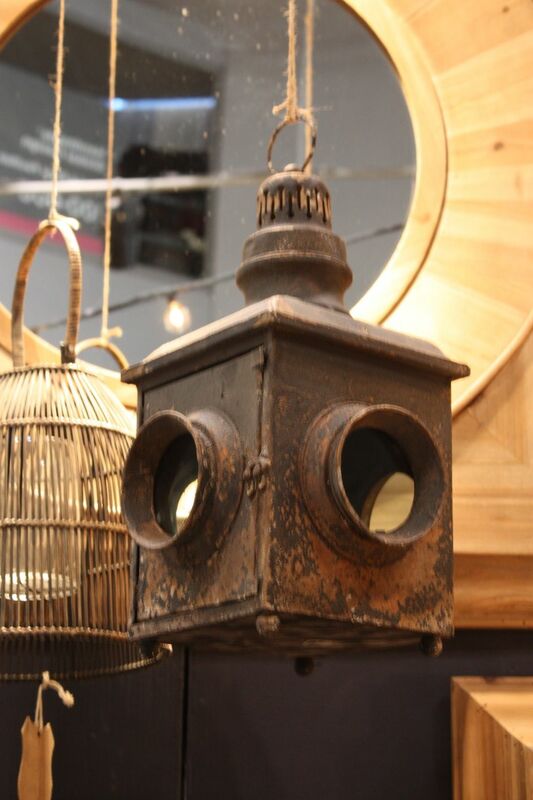 This rustic fixture from Vagabond Vintage has a very weathered look, but vintage shapes in shinier metallic finishes are also extremely popular. Weathered or not, vintage lighting fixtures are very popular. 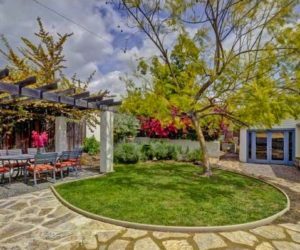 We all know what concrete surfaces look like: Smooth or textural with a pleasantly stony gray look. 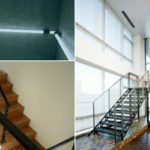 But new techniques are making concrete even more versatile. 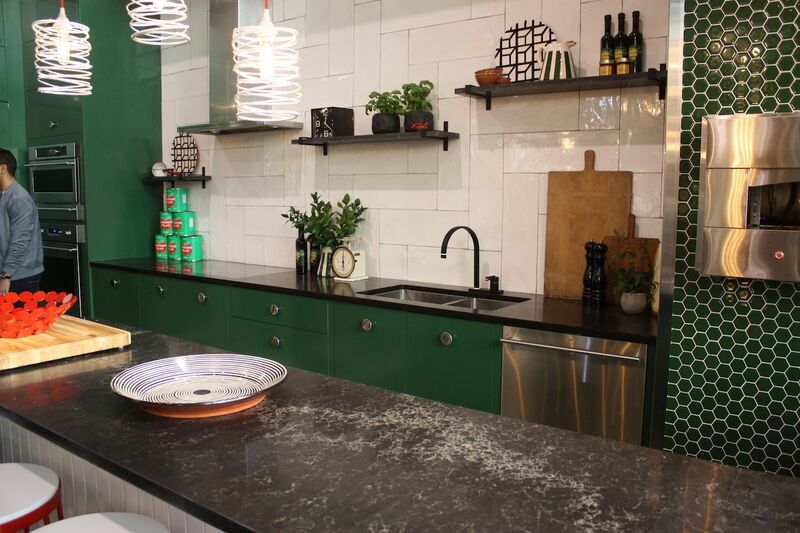 From new colors to different formulations and finishes for the kitchen and bath, concrete’s appeal continues to grow among home decor trends. 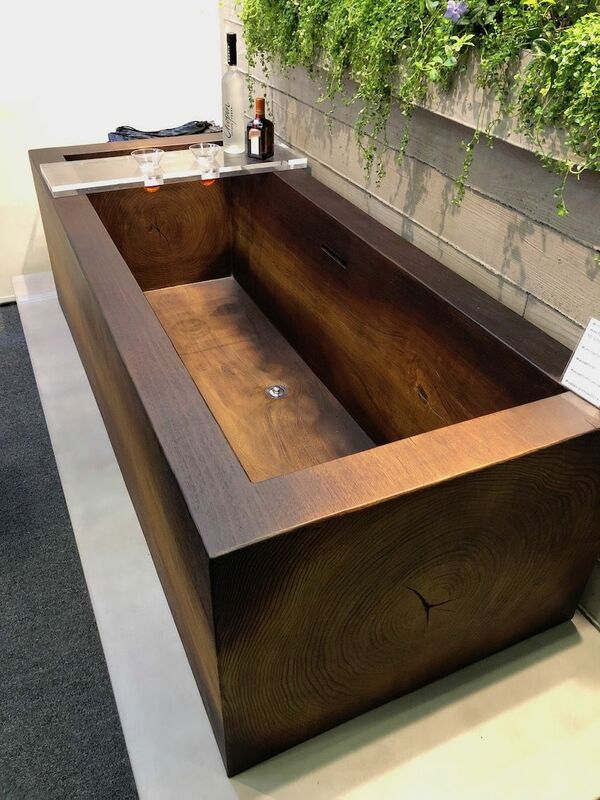 This amazing tub — which looks like it was hewn from a giant tree — is actually made from concrete. WoodForm concrete transforms the material into lightweight, sustainable furniture and fixtures that look like wood with none of the worry. 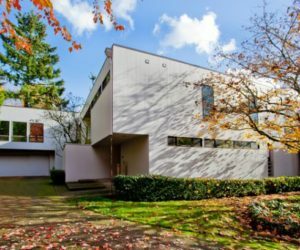 As technology advances, we’re looking forward to more ways to use concrete at home. 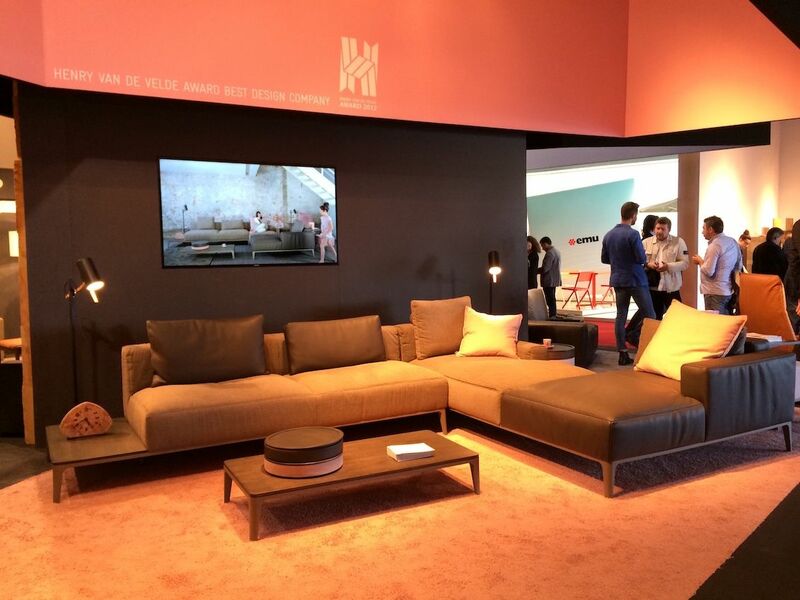 New technologies are making concrete even more versatile in home design. Moving away from dark and heavy traditional furniture, today’s home decor trends are using lighter tones to let the wood grain show. Weathered, rustic wood as well as more finely polished pieces are popular in family rooms, kitchens and bedrooms. These lighter pieces — like this coffee table from Style Garage — are also a great combinations with bold painted walls as they help keep the mood light and airy. Even live-edge wood pieces are available in lighter, warmer wood tones to complement today’s interiors. 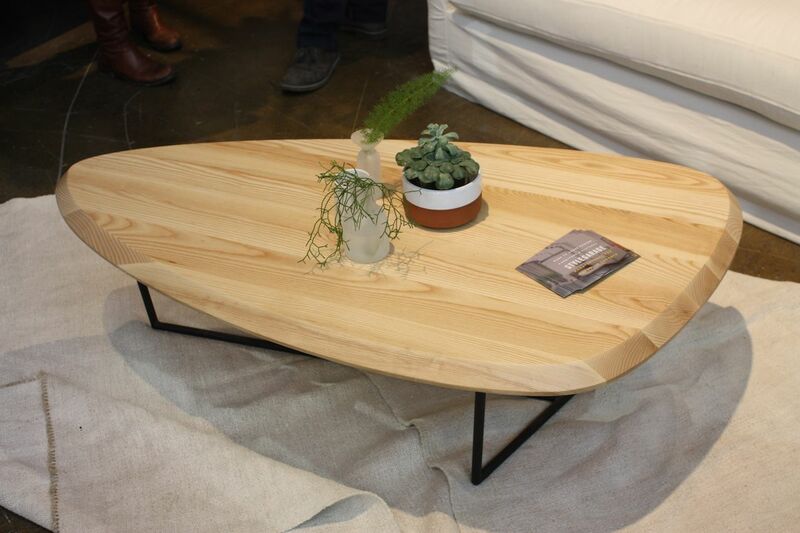 The resin and live edge table from PbR by Wud is a great example of this trend. Light wood, an unconventional shape and lively grain make a great table. 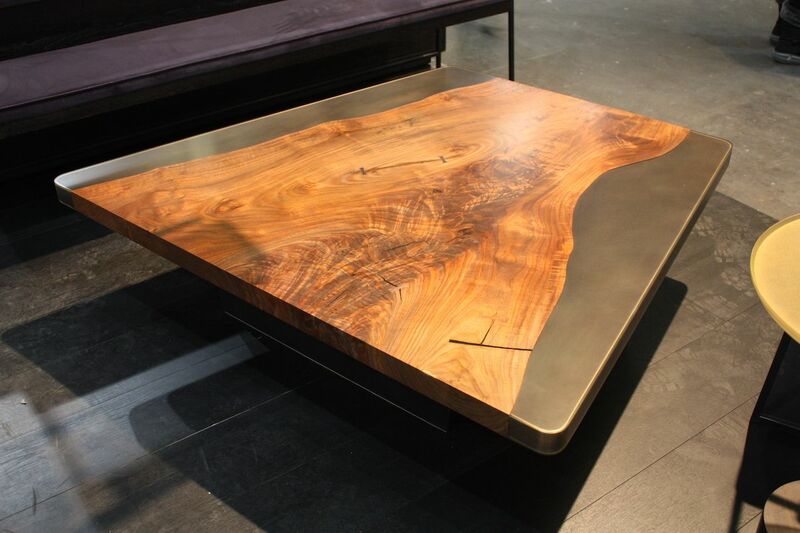 Live-edge wood inset in resin creates a versatile, durable coffee table. 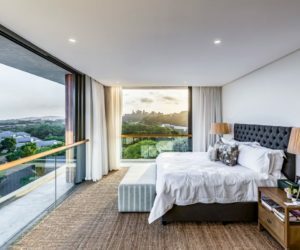 Shape, textures and designs from other cultures have long been incorporated into home decor trends, and with today’s more relaxed, casual interiors, global influences are even stronger. 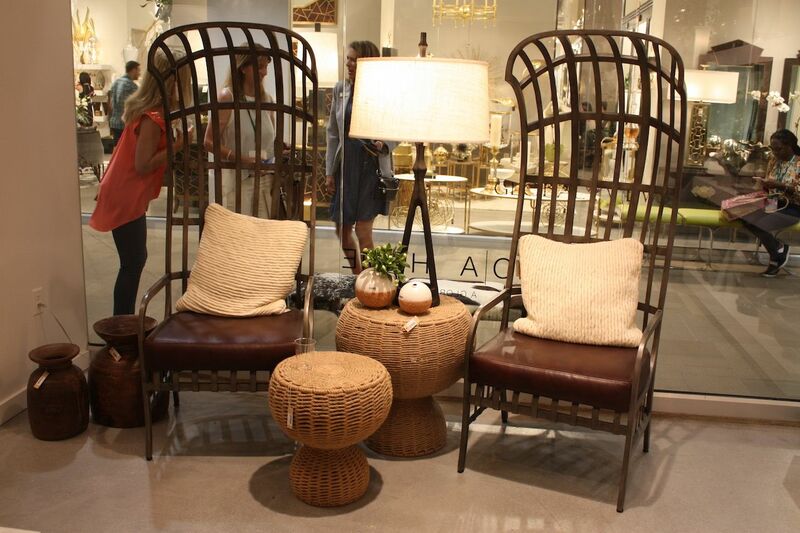 Accessories from other nations, combined with varied textiles and a generous touch of rattan, shells or jute are here to stay. 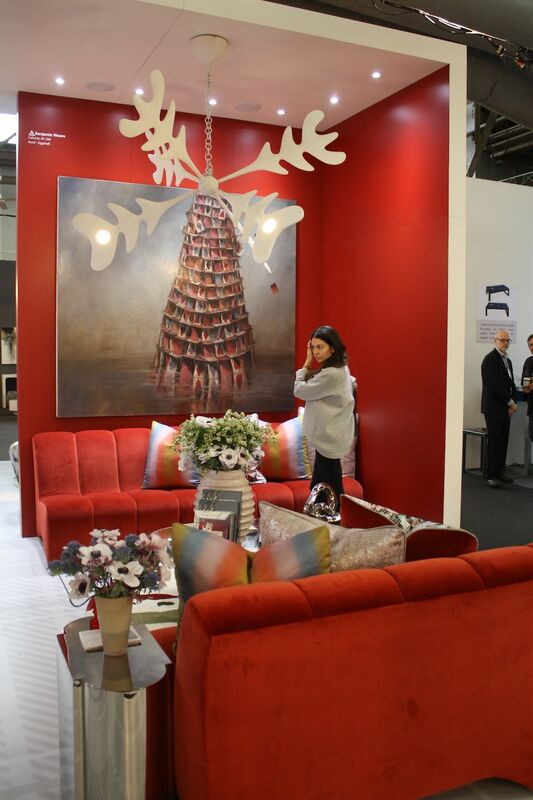 Designers and travelers bring back treasures to use at home that are now becoming part and parcel of interior design. 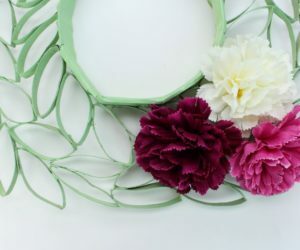 The handmade feel of global decor items gives them extra appeal. 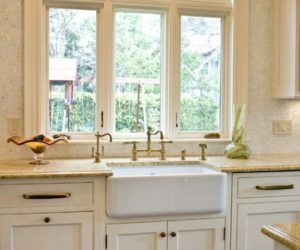 Rose gold had its moment and copper is nice, but brass fixtures are among the home decor trends that are here to stay. 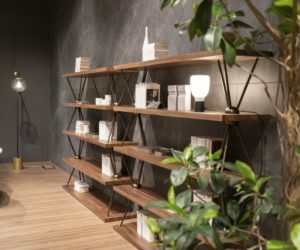 The metal is popular for shelving, lighting, kitchen and bathroom hardware and more. It has a vintage look that can increase in character as the metal develops a natural patina. With the vintage trend still going strong, it’s a versatile material that fits right in: a touch of metal without too much shine. 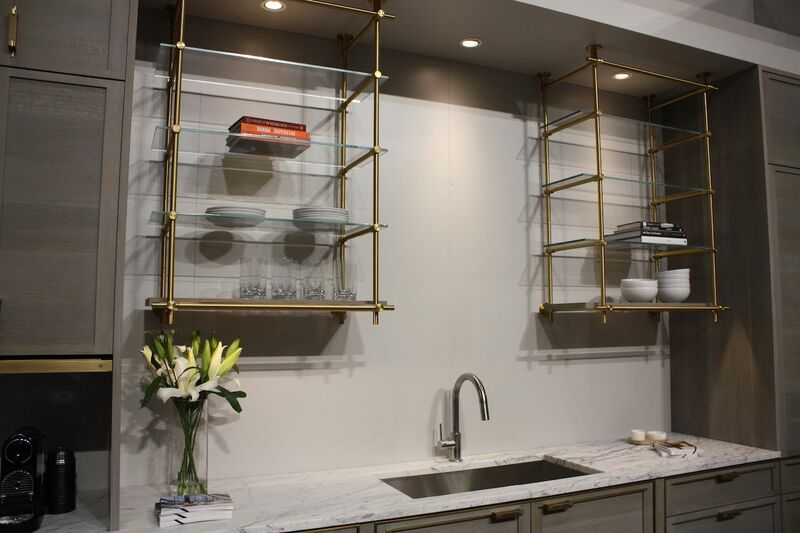 Kitchen shelving from Amuneal is a spectacular way to put the metal center stage. 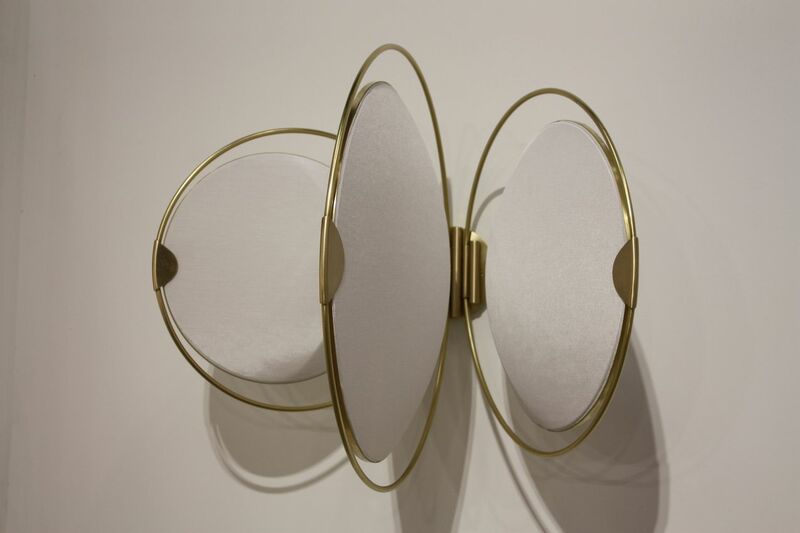 Lighting fixtures are also a great way to showcase brass, as in the fixture below by Elish Warlop. You don’t have to polish brass to a high shine. Instead, let it develop a natural patina. Bring on the bling! At least that’s what fans of metallic finishes are saying. There is no shortage of high-shine metals among home decor trends, especially at the high end. 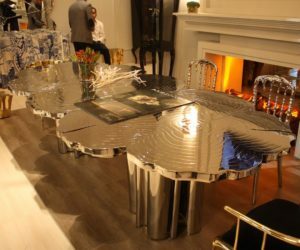 This magnificent Fortuna table from Boca do Lobo is a gleaming example of the metallic furnishings available at the upper end of the design spectrum. 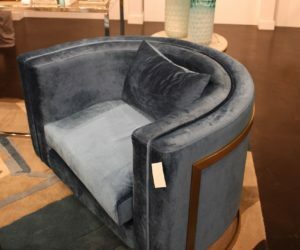 If an ultra-luxury piece is not for you, look for occasional tables, chairs and accessories that offer highly polished metals that find with your interior and budget. Or, try something like Nourison’s gilded hair-on hide rug the features a selection of embossed designs. 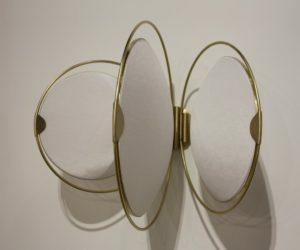 It’s perfect for adding a metallic focal point to a space. Try using a metallic accent rug to anchor a space. 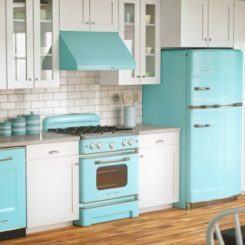 Not typically included in a palette of neutral colors, new shades of blue are making their way into the more versatile set of colors used in today’s home decor trends. This room by Benjamin Moore shows how a bluish-gray tone can serve as a neutral backdrop. By using darker hues in the same family along with a complementary accent color, blue can be used in a wide variety of combinations. If most of your furnishings fall into the typical beige palette, using blue is the new, more understated way to make a statement. Shades of blue can easily be considered neutral colors. Elements of Scandinavian design have been popular everywhere for decades, so it’s almost hard to call it a home decor trend. 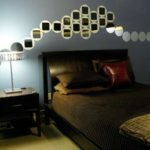 However, the concepts of simplicity, comfort and functionality are becoming more ubiquitous in home decor. These sensibilities fit right in with our desire to lead uncluttered, lower stress lives. 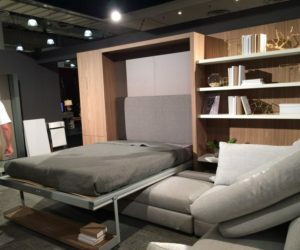 The clean lines of the furniture and versatility of Scandinavian style make them a natural for this goal. Scandinavian style is the epitome of an uncluttered lifestyle. Bold and sunny, yellow is a joyful color that is not all that common in home decor — until now. Perhaps more associated with an old-fashioned farmhouse kitchen, the sunny hue is making its way into all rooms of the house…in small does, of course. With fashion, not everyone looks good in yellow, but that’s definitely not the case in home decor. A pop of yellow as an accent color is unexpected and cheery, and farm more current that the usual red or orange. 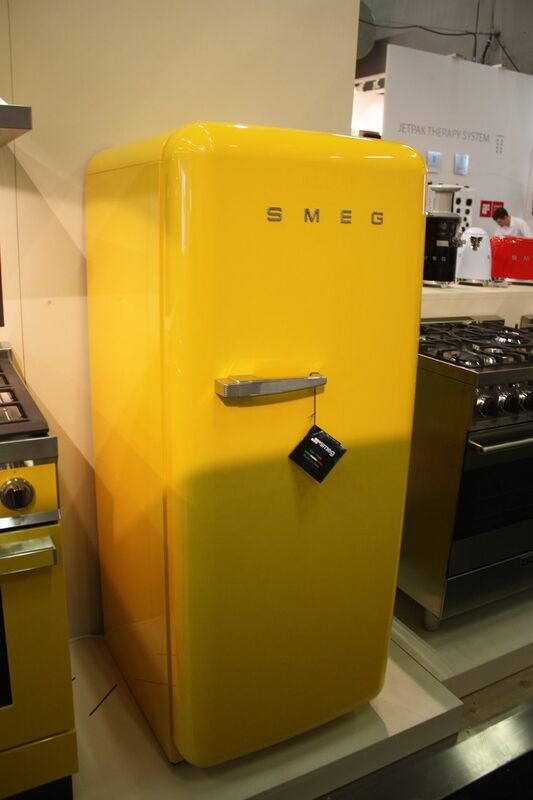 For those who are really bold and love retro, SMEG is known for its boldly colored kitchen appliances, including a bright yellow fridge. 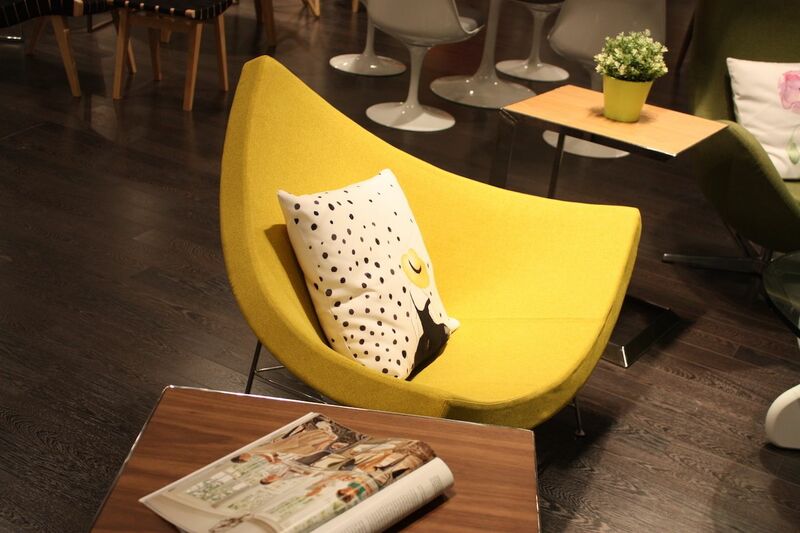 A bright yellow chair in a modern, distinctive shape is the perfect accent piece. 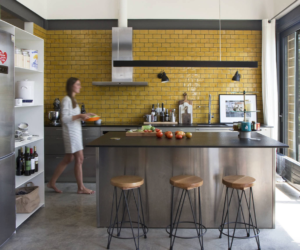 Go bold with a retro yellow refrigerator in your kitchen. If your thoughts of tile are limited to mosaics and the subway variety, it’s time to visit your local purveyor because designs and options are far wider. Carved, texture, colored and geometric — the possibilities are endless. 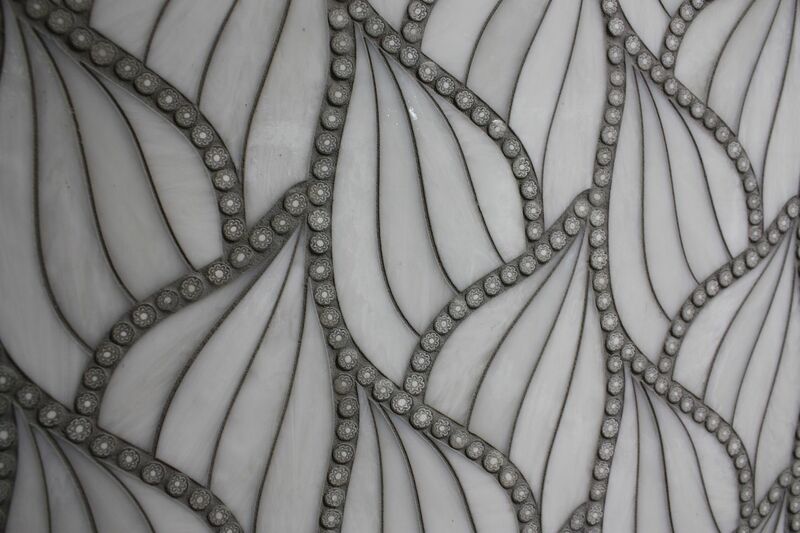 This pattern from Tile Bar is an example of the complex patterns that can grace your walls: It combines a leaf like pattern with glossy sections, along with a raised floral motif that forms the border. 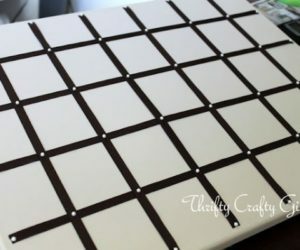 And, ombre might be out for hairstyles, but it’s definitely still in for beautiful mosaic tile installations. Tiles are available with more intricate and detailed patterns than ever before. 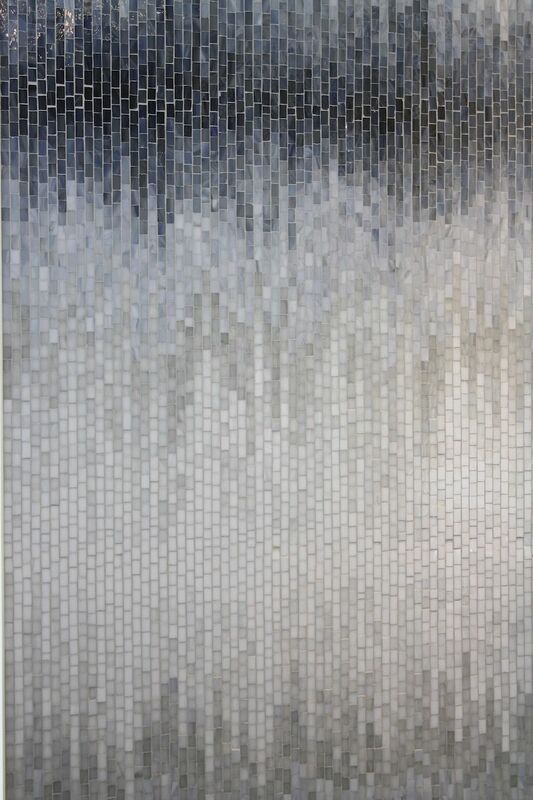 Ombre patterns are a modern choice for using mosaic tiles. 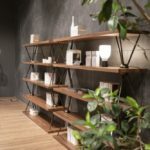 The easiest way to create more storage space is to make decor pieces do double duty, and this concept is growing among the current home decor trends. 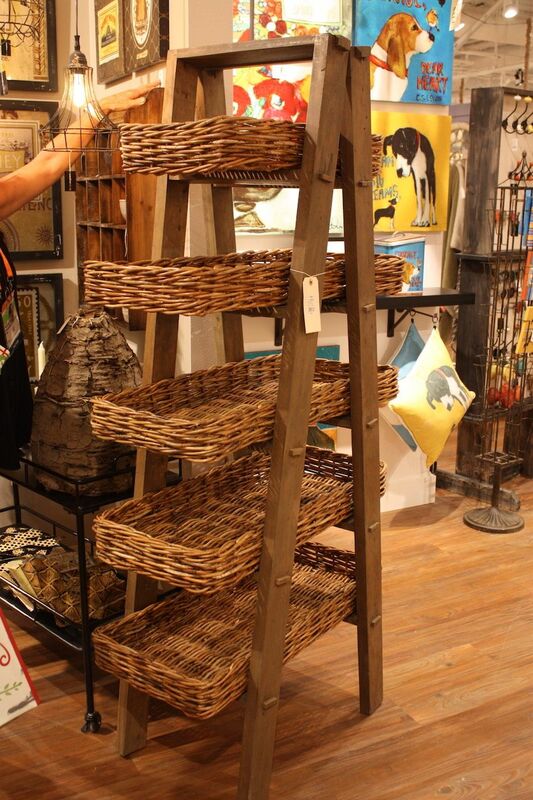 A rustic ladder style shelf from Creative Coop with baskets will work in any room to hold all sorts of stuff, from kitchen essentials to bath towels and essentials. 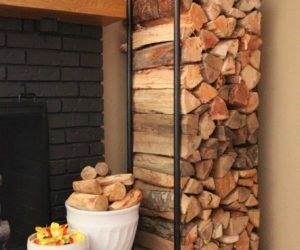 If rustic isn’t your style, there are options for storage as decor in almost any type of look. Double-duty items are the easy way to add storage in any room. Wall coverings have been much maligned in past years, but new patterns and styles are going far beyond the typical cutesy picks with matching borders. (Thank goodness!) Abstracts, geometrics and photo-realistic murals are booming home decor trends, particularly when it comes to creating an accent wall. This new collection of coverings from Lookwalls includes some marvelous Art Deco designs and abstract shapes that turn a wall into a work of art. 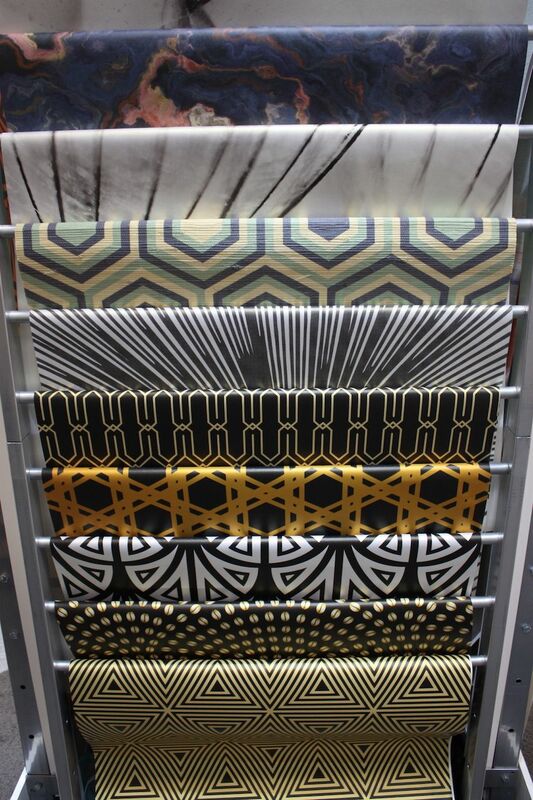 Wallcoverings can add color or texture, not just patterns. 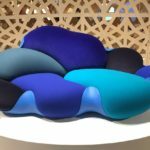 Leather sofas and chairs are nothing new, but this natural material is finding its way onto new home decor pieces such as desks, nightstands and headboards. 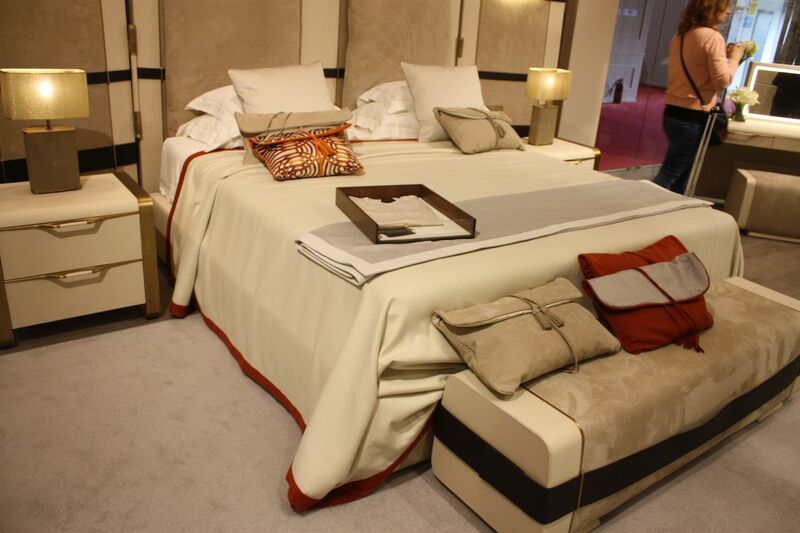 Luxury bedrooms are incorporating real leather and suede to create an opulent feeling that is gender neutral. 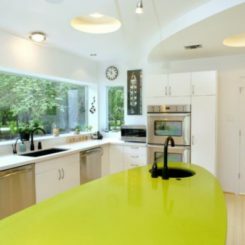 It is even being used in custom kitchen designs as a surface material for walls and cabinet fronts. Try adding a small leather-covered accent piece or even leather lighting to a space for more dimension. Or, choose a distressed leather that lets natural flaws show, creating a more casual look. Genuine leather is a natural material that adds a luxury touch. 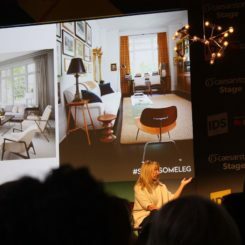 While you can’t include every trend, there is enough going on in the design world to offer a lot of options for freshening up your space and bringing it into current style. 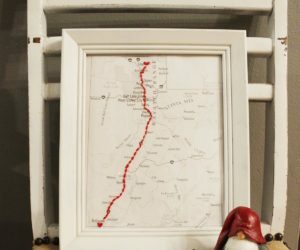 Which of these home decor trends will you try?